What we learned from the ninth round of Vodacom Super Rugby, according to CRAIG LEWIS. After suffering an agonising defeat against the Jaguares last weekend, it was always going to be essential for the Vodacom Bulls to respond against the Reds in round nine. They did just that as a number of returning Boks played their part in what was a highly-impressive 32-17 victory. It was especially pleasing to see towering lock RG Snyman make his return from injury, with the big man making an immediate impact in his first game of the season. Snyman completed 12 carries, 55m and beat as many as four defenders. It was a reminder of the important role he could play for the Boks later this year. Last year, the Sharks’ 2018 season was largely derailed with problematic inconsistency. Unfortunately, it’s an issue that has once again carried over into this year. 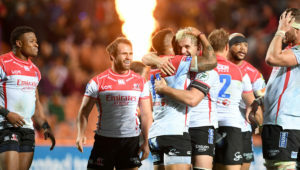 In round eight, the Sharks produced one of their most impressive all-round performances to hammer the Lions 42-5 at Ellis Park. Just over a week later, though, they somehow conspired to suffer an embarrassing 51-17 defeat against the Jaguares at Kings Park. 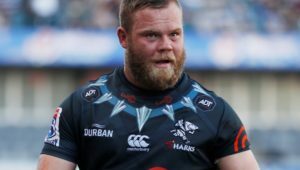 Coach Robert du Preez quite rightly suggested it was one of the worst Sharks performances in recent years. The Durban-based side’s record for the season now reads as follows: won, won, lost, lost, won, lost, won, lost. Unfortunately, such inconsistency, with an overseas tour still to come, has left their playoff ambitions in peril. Over the past three years, the Lions have been the perennial pacesetters for the South African sides. However, injuries and player departures have taken their toll this season, and a rebuilding Lions side has suddenly found itself in free fall. 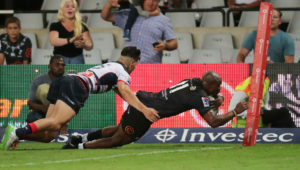 Over the past fortnight, the Lions have endured one-sided defeats to the Sharks and Brumbies, which has seen them fall to ninth on the overall standings and out of the current playoff positions. It would be difficult to see them overcoming the Chiefs and Crusaders in New Zealand over the coming weeks, and they may well return to South Africa with their season in tatters. Ahead of Friday’s clash between the Stormers and Rebels in Melbourne, the Cape-based side had been well and truly written off. 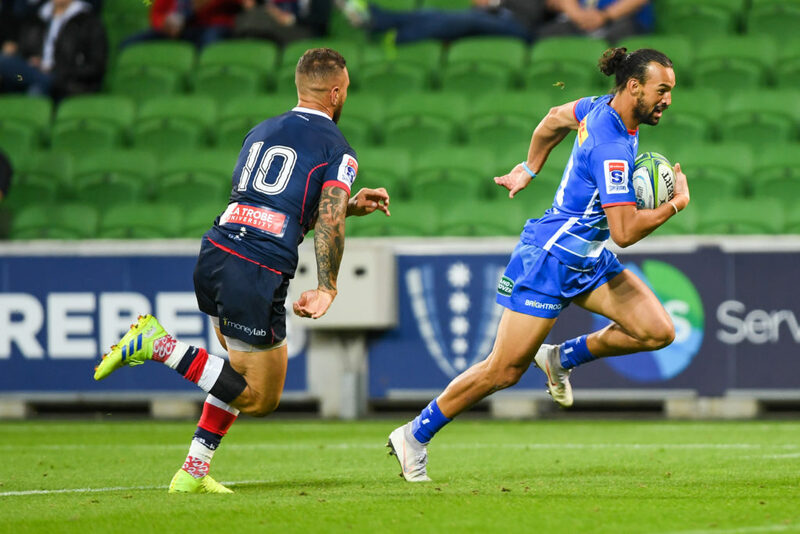 Yet, despite suffering disappointing defeats to the Hurricanes, Blues and Reds in the preceding weeks, the Stormers produced one of their most well-rounded efforts to claim an emphatic 41-24 win over the Rebels. Special mention has to go to Dillyn Leyds, who continued his superb form this season, scoring a brilliant try, effectively setting up two more, beating eight defenders and making 68m. Meanwhile, Ruhan Nel racked up 119m, claimed a brace of tries and executed four clean breaks as the centre demonstrated why the Boks opted to bring him into the reckoning last year. After nine rounds of competition, it once again looks as if there will be no stopping the Crusaders from clinching a third successive title. The New Zealand side cruised to a seventh win of the season on Friday, and are now a whopping 11 log points clear of the next best side. 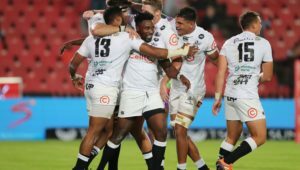 In the South African conference, the Bulls are currently top of the pile, but they still have a tour to Australasia to come. For the Lions, Sharks and Stormers, there really has been very little to suggest that they will have what it takes to compete for the title this year. Unfortunately, in a World Cup year, it looks set to be another season of disappointment for the local sides.